According to the Incident and Trafficking Database of the International Atomic Energy Agency, incidents involving illegal transactions or malicious acts with nuclear and other radioactive materials have been reported since 1993. Nuclear forensics is a series of processes that analyze the materials found in these incidents and identify their sources. 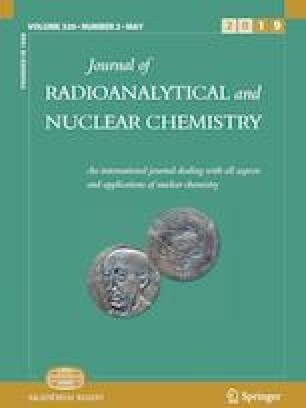 In this study, we aimed to develop a classification algorithm that identifies the sources of unidentified fresh nuclear fuels, particularly for pellet-type fresh fuels. To do this, a variety of methods has been used to investigate signatures that can serve as a basis for identification. Based on this, we have analyzed the distribution characteristics of signature data and propose a fresh nuclear fuel identification algorithm using data-driven classification methods, such as statistical control charts, principal component analysis, and a one-class support vector machine. The data-driven approaches can be applied to develop empirical models for complex or unknown physical systems and their accuracy can be improved as the sizes of the signature datasets increase. This work was supported by the Nuclear Safety Research Program through the Korea Foundation of Nuclear Safety (KoFONS), granted financial resource from the Nuclear Safety and Security Commission (NSSC), Republic of Korea.